Item # 317940 Stash Points: 24,295 (?) This is the number of points you get in The Zumiez Stash for purchasing this item. Stash points are redeemable for exclusive rewards only available to Zumiez Stash members. To redeem your points check out the rewards catalog on thestash.zumiez.com. Become a slalom god, or just dodge your way through crowds with ease on the Carver Resin C7 Surf Skate 31" Cruiser Complete. 69mm, 78a Roundhouse brand wheels with a harsh lip provide tons of traction and excellent acceleration, while abec 7 bearings accelerate quickly and maintain speed to minimize pushing. Mild concave offers a kick tail for excellent control, but the most unique part about this complete is the Carver C7 Surfskate Trucks. The Carver trucks come in a very original design that at the front truck is constructed with dual axis pivot cups for an increased turning radius and excellent maneuverability. 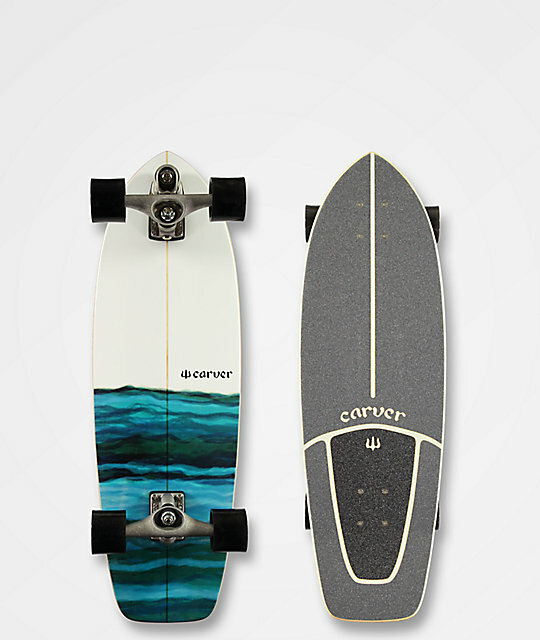 Resin C7 Surf Skate 31" Cruiser Complete from Carver. Kick tail for added control. 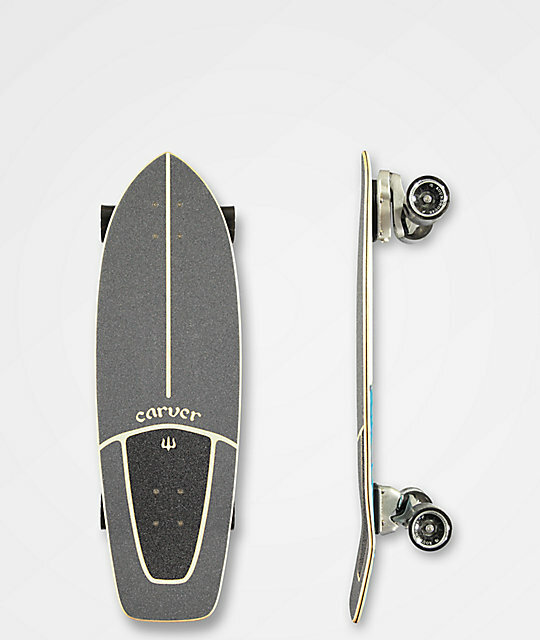 Carver C7 Surfskate Trucks with dual axis for an increased turning radius.